2014 Tag Exchange - You Guys ROCK! Hello and Merry Christmas! Hope you are enjoying time with the family and enjoying time to yourself! I have had some wonderful days off. Check out my new gift above. 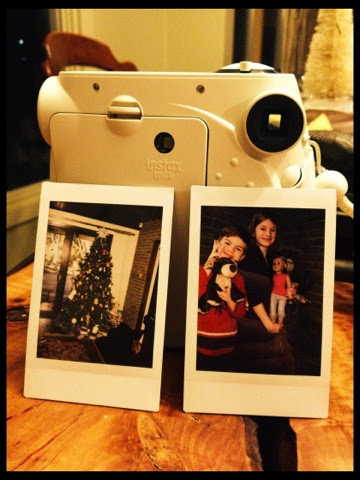 It is the new version of a Polaroid camera! I cannot wait to "smash" these pictures and other special ones I took over the past week. So fun! 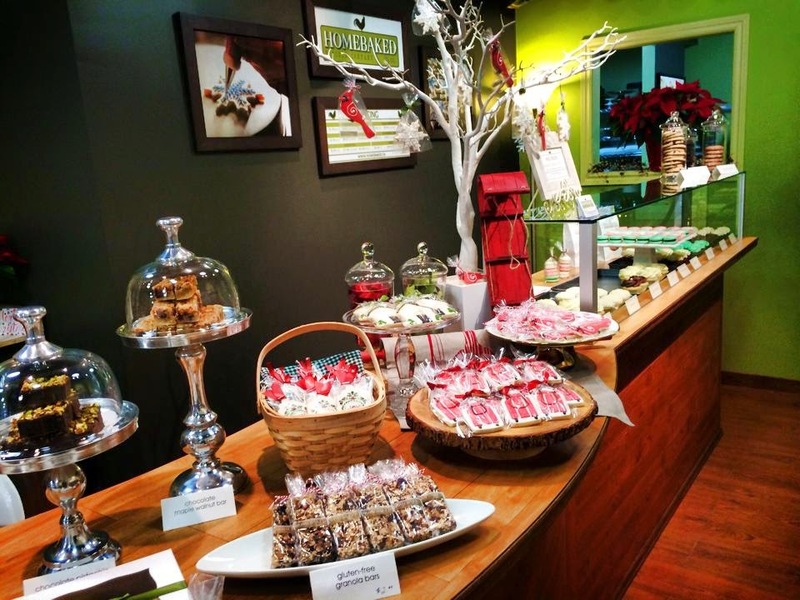 The Paper Pickle and Homebaked Kitchen will be open tomorrow (December 31) from 10am-3pm. Stop in and get your crafty supplies and goodies for some lazy holi-days! The kids and I are all ready for a New Years Day full of crafty fun! Please note the store will not reopen until January 7th so stop in tomorrow if you need anything. Otherwise, you can email me and I will do my best to accommodate your request! Good morning! Just wanted to remind you that we are open Tuesday, December 23 10am-5pm and Wednesday, December 24 10am-2pm for your last minute shopping needs. 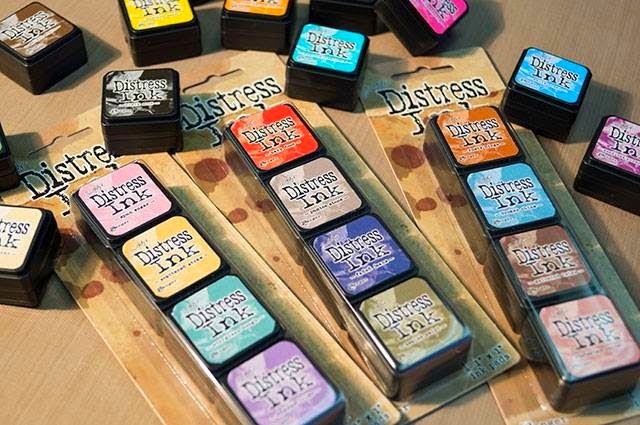 We have great stocking stuffers including all the Tim Holtz mini distress inks, gift cards, paper pads and more! In case you missed it, here are our holiday hours for the next couple of weeks. Keep smilin'.....we are almost there! I don't know about you, but I only JUST began wrapping a couple of gifts last night. It was after my daughter said "Mom, it's weird, all the trees on tv have tons of presents under them and we only have one and it's from me to you!" Talk about guilt. Ha. I swear that girl is my personal assistant and keeps me on the ball reminding me things to do and things coming up....and she's only 8! Well if you are like me, you are in luck! 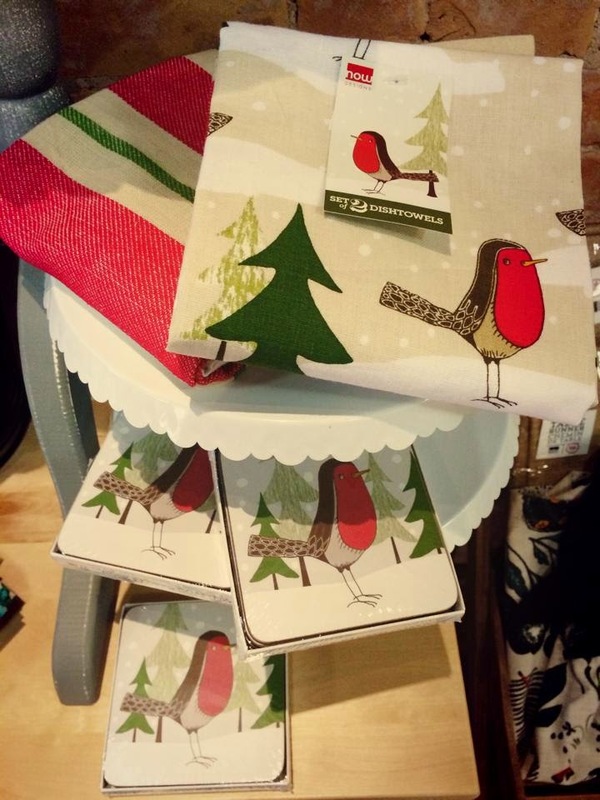 The Paper Pickle has some great gift boxes ready for some crafty business. Add ribbon, burlap, washi tape, twine paper are more to these gorgeous kraft boxes in sizes 6x6, 8x8 and 12x12. We also brought in an adorable pink giftalicious box with comes complete with tag and ribbon. These boxes are Santa approved and sure to keep your most precious gifts safe! PS....did you see we will be open this Monday (10-5), Tuesday (10-5) and Wednesday (10-2)? Let your people know so they can pop in for a gift card or we can help them surprise you with new goodies as there have been quite a few deliveries over the last week! Oh wow! You guys having some pretty busy days? Me too. The crazy part is that I feel calm. I still have a lot to do but the critical gifts are bought (aka kids and hubby) and a few must do things are now done so that is awesome and maybe the reason for the calm! I will share with you the fun I have had over the last couple of days in very near future posts! 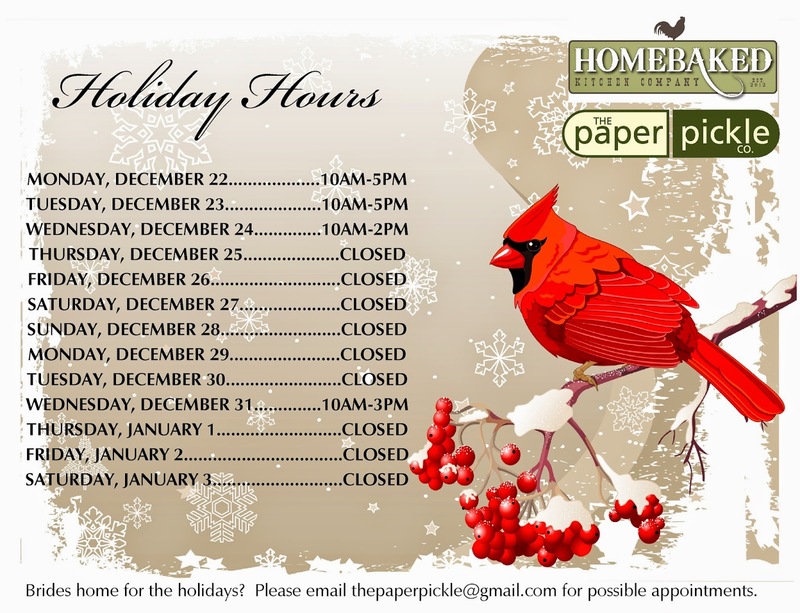 So have a look at our holiday hours above. We will be open this week business as usual (Wednesday-Friday 10am-5:30pm and Saturday 10am-3pm and Sunday closed). We will also be open THIS Monday, Tuesday and Wednesday for any last minute gift cards, gifts, goodies, supplies and more! 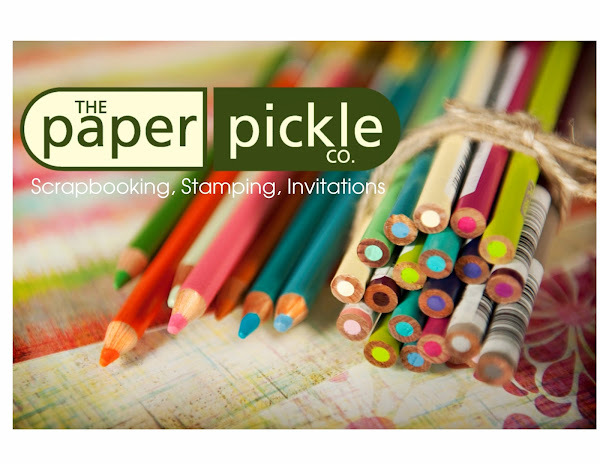 If you know of any brides who are in town over the holidays and would like to discuss wedding stationery, please feel free to pass on my email address (thepaperpickle@gmail.com) and I would be happy to try to accommodate them! The holidays are almost here. I hope you are taking some time to relax and soak it all in! 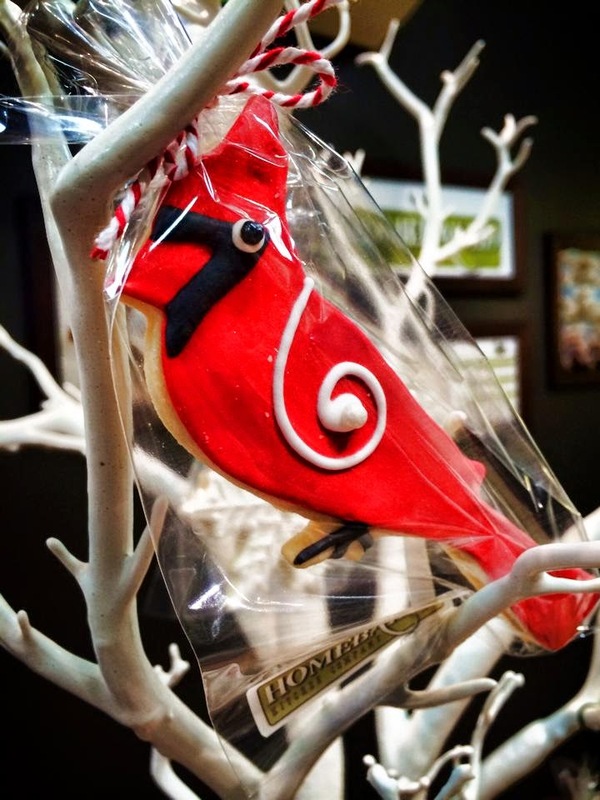 Cardinal Sugar Cookie. Does he not have a presence about him? So regal. So beautiful. You may feel a second of grief biting his head off! Ha. 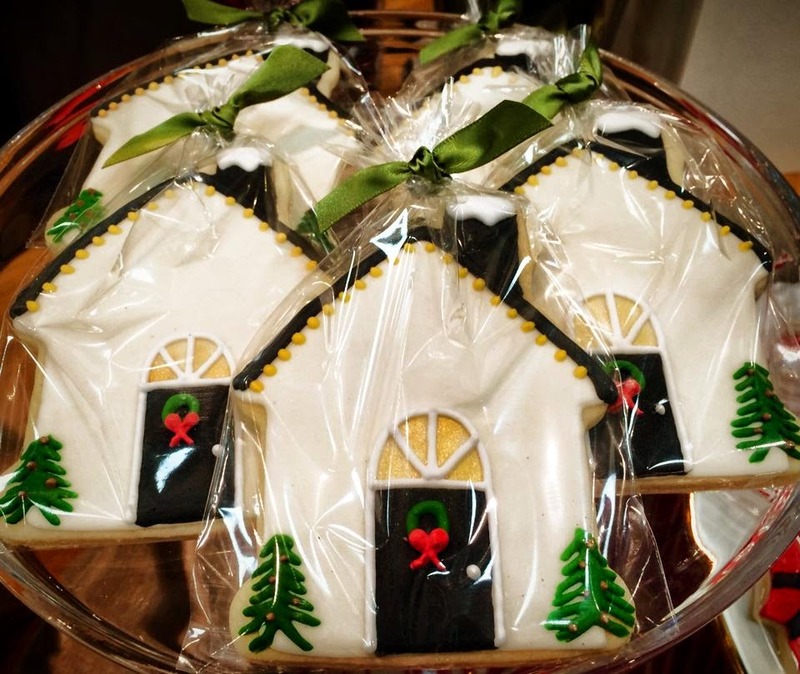 but they are Homebaked (Kitchen)! sled linen towels (also available in the shop). Theme gifts are my favourite! These cookies were Jen's entry in the tag swap! Ok. Look how beautiful the presentation is! And guess what? She used a stamp for the design! Don't believe me? Have a look below at the Penny Black stamp set we have in store! Incredible! So what do you think? Don't thank me just yet. 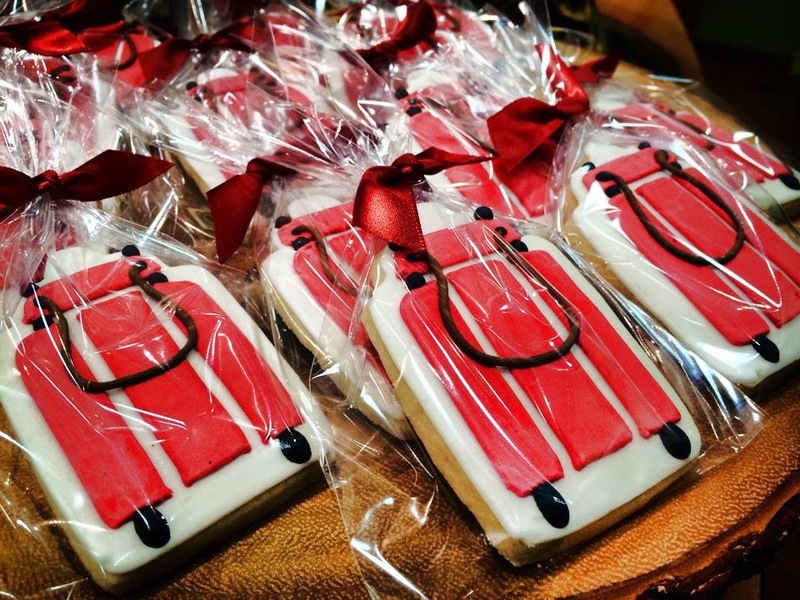 Come in and thank me after you receive all the hugs and kisses this Christmas once your loved ones open YOUR hand made gifts and Homebaked goodies! 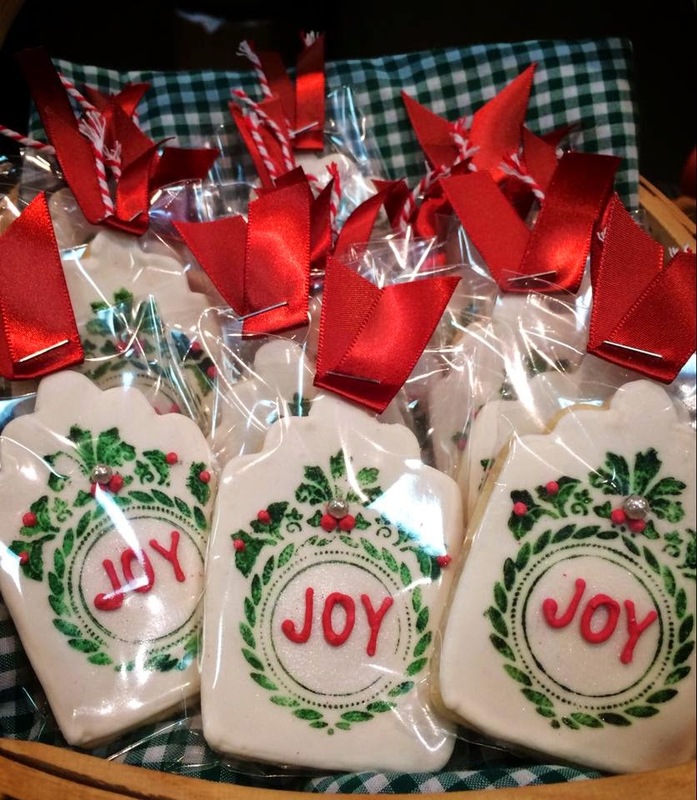 Labels: christmas ideas, creations, Homebaked Kitchen Co.
Our second annual Christmas Tag Exchange took place at The Pickle! We had TWO full groups this year (a total of 24 participants). I have to tell you that I was absolutely thrilled with all the tags were. I mean they were truly pieces of art! I can't show you all the tags just yet (as the tags are only starting to be picked up today) and I want the participants to be surprised when they look in their goodie bags! I do promise to share the tags (how about after the holidays?). As a side note, Cupcake Red Velvet is a very nice full bodied red from California. Hey! 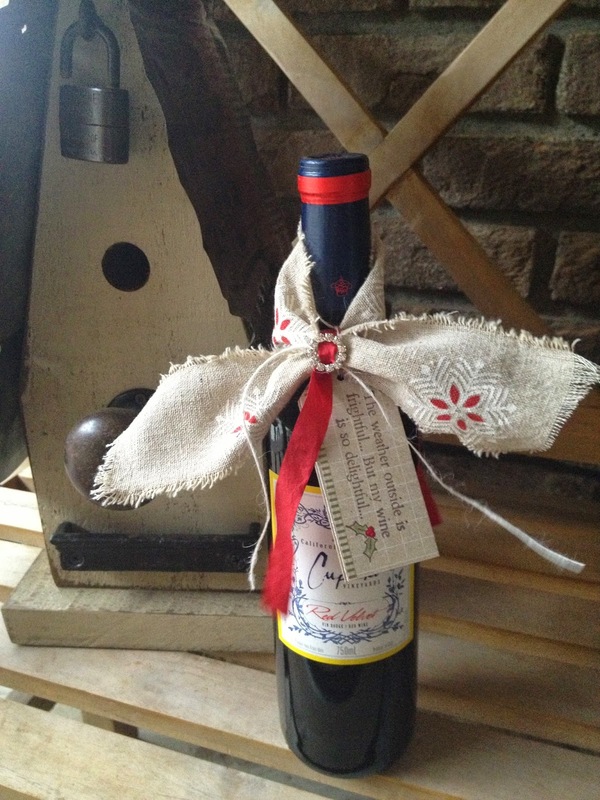 A wine bottle could use a pretty scarf/bow/packaging this time of the year! It all came together with elegant ribbon, a rhinestone broach and (of course) paper and twine. 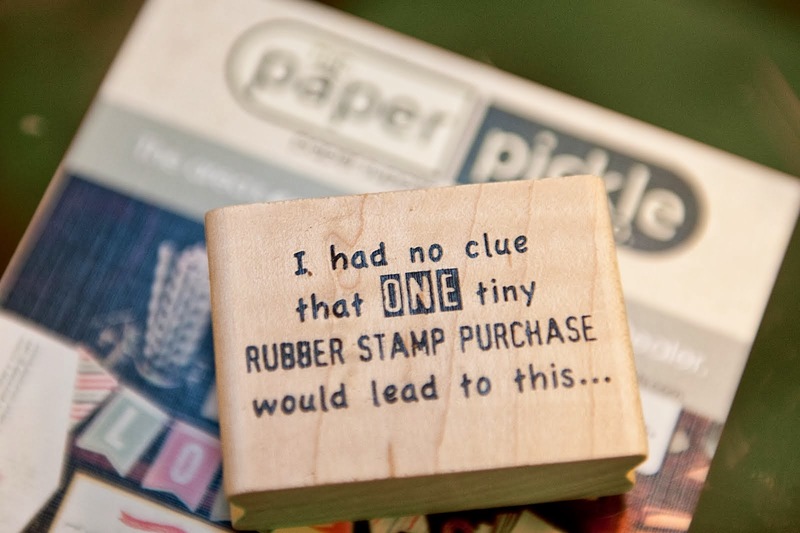 The stamp from Riley & Co was almost TOO perfect. I was tempted to use the "He sees you when you're drinking..." stamp but decided this one would go better. I stamped it with the new Memento Luxe pad (which is heavenly btw). A little colour to the holly image on the stamp plus a subtle paper tape and the tag was complete. What do you think? Have a little fun wrapping your gifts this year. Think outside the box (or bag)....I dare you! 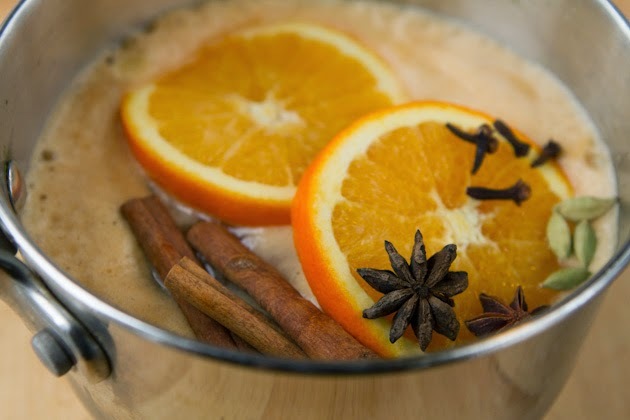 Join us today and every Saturday leading up to Christmas for a nice cup of apple cider while you stroll the store. 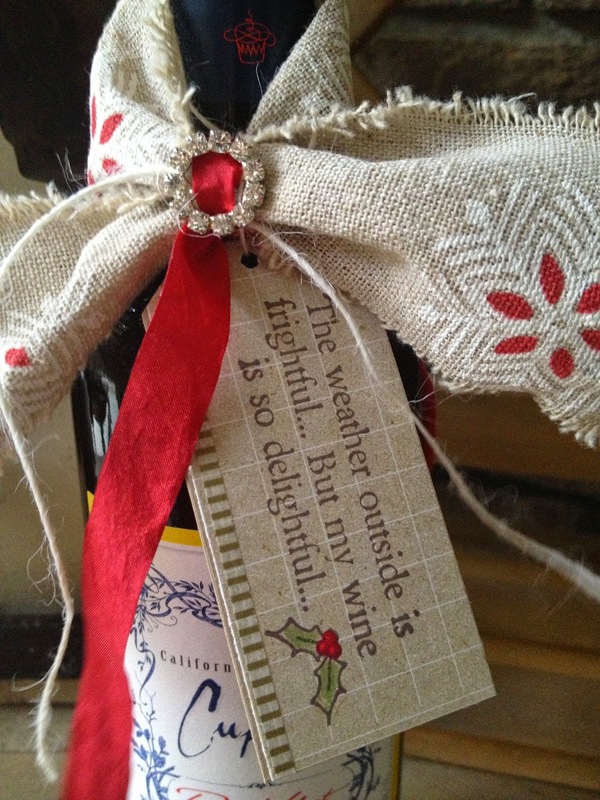 We have great gift ideas for teachers, hostess gifts, family and more. 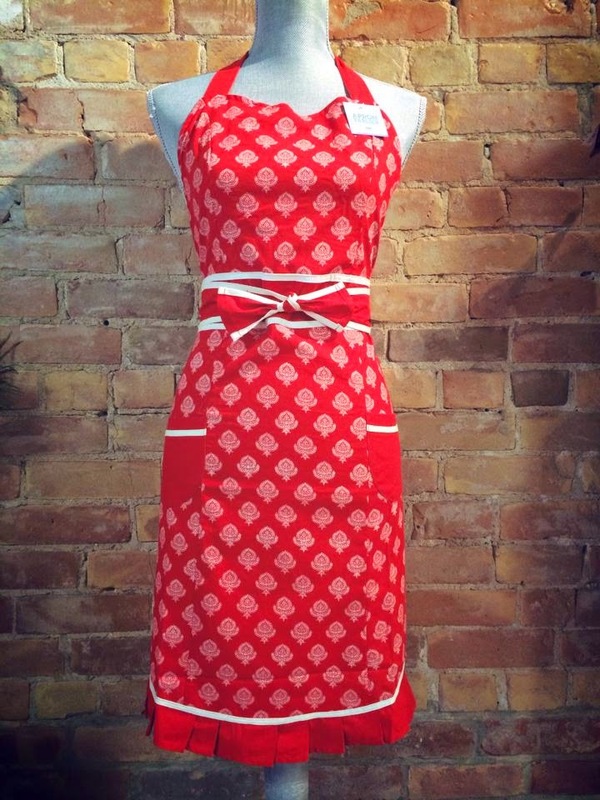 Homebaked Kitchen has just received a big shipment of seasonal aprons, tea towels, coasters, etc. Open until 3pm today. 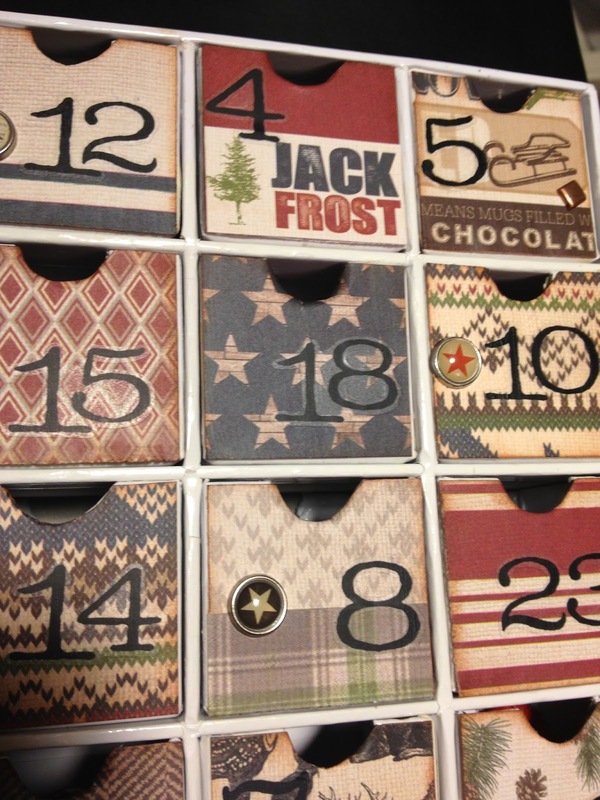 Don't forget that if you are a part of our Christmas tag exchange, tags are due TODAY!! Pick up of the tags will take place during store hours next week. PS....I'm feeling much better these days. 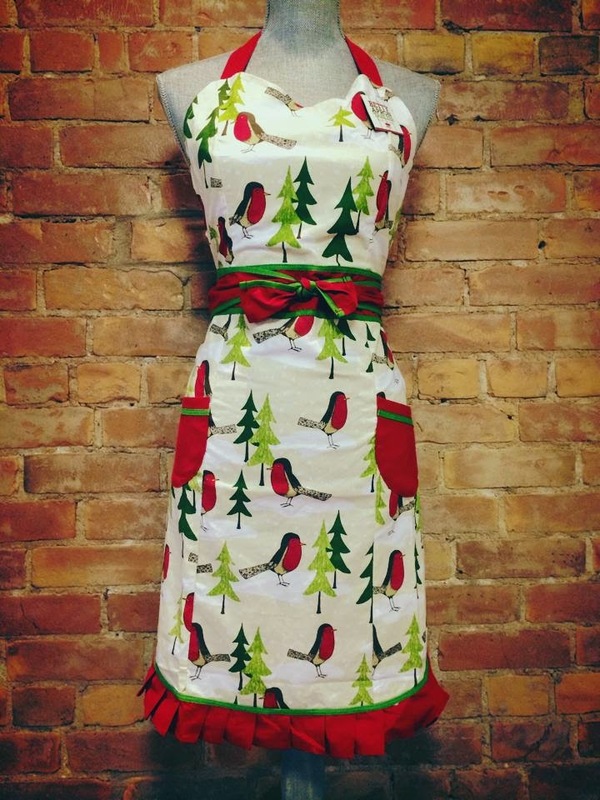 We plan to spend the entire weekend putting up the tree, decorations, baking a little (and I mean a little because I would rather craft than bake...I always outsource this job to Homebaked Kitchen! 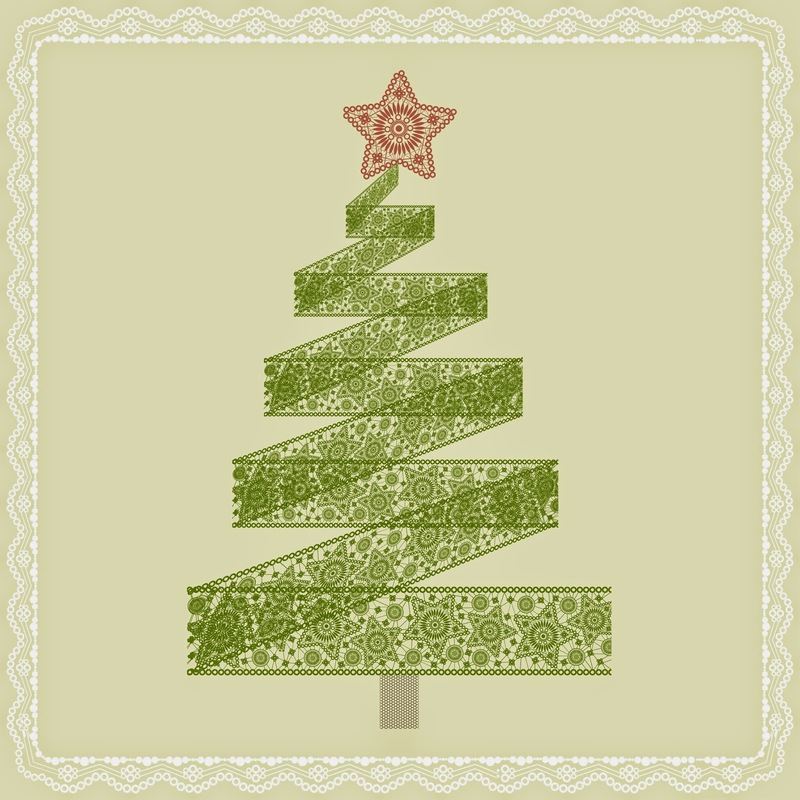 ), crafting and watching holiday movies. No other plans. I feel relaxed. I feel good. I hope you are too! It's funny how this time of the year, the thought of adding one more "job" to your list can very well be the straw that breaks the camels back! Honestly, last night I had a little melt down because I felt like I had not had one minute to myself. The day consisted of working for hubby, cutting the lawn leaves with the rider, climbing the roof to get the leaves out the eaves troughs, hanging the outdoor Christmas lights, making a roast chicken dinner complete with mashed potatoes and gravy, cleaning up after dinner, building lego with my son, putting the kids to bed, finally putting away my mounds of clean clothes and then.....CRASH! Seriously. I just had to have a little pity party just so I had a minute for ME. Truly. Why is there so much to do? And I know I am not the only one! Everyone I talk to is the same especially this time of the year. 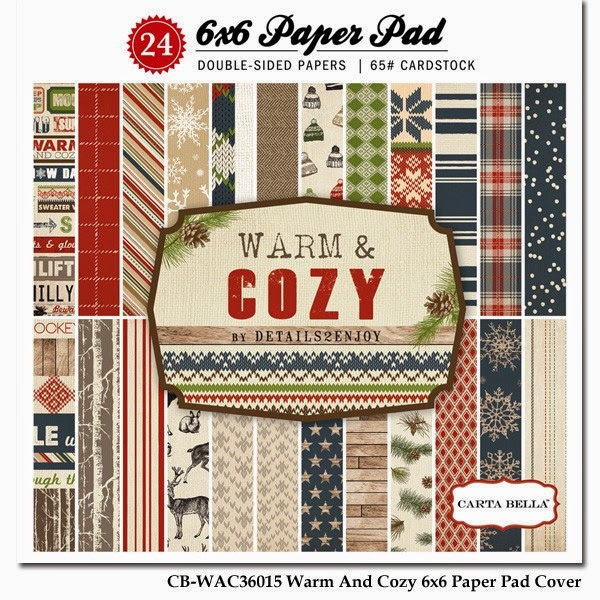 Step 1: Choose great papers like shimmer card stocks (what do you know?.....they can be found at The Pickle!). They are elegant and get noticed on the card wreaths next to those white, glossy boxed cards. 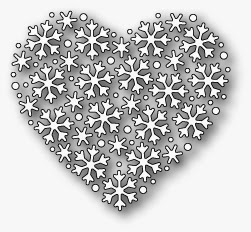 Step 2: Choose great dies.....Cut snowflake heart die out of that great red shimmer card stock. 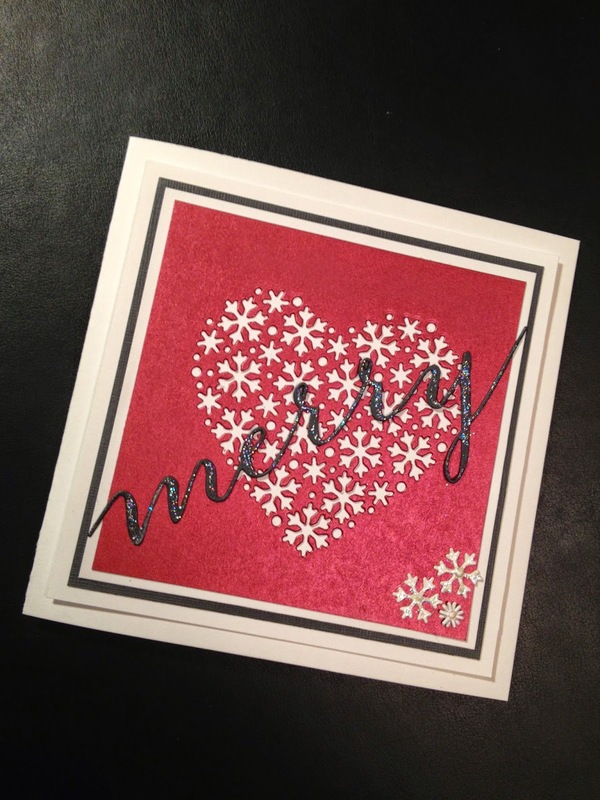 Step 3: Cut merry word die out of gray card stock and add a little glitter. Glue to the red shimmer card stock. 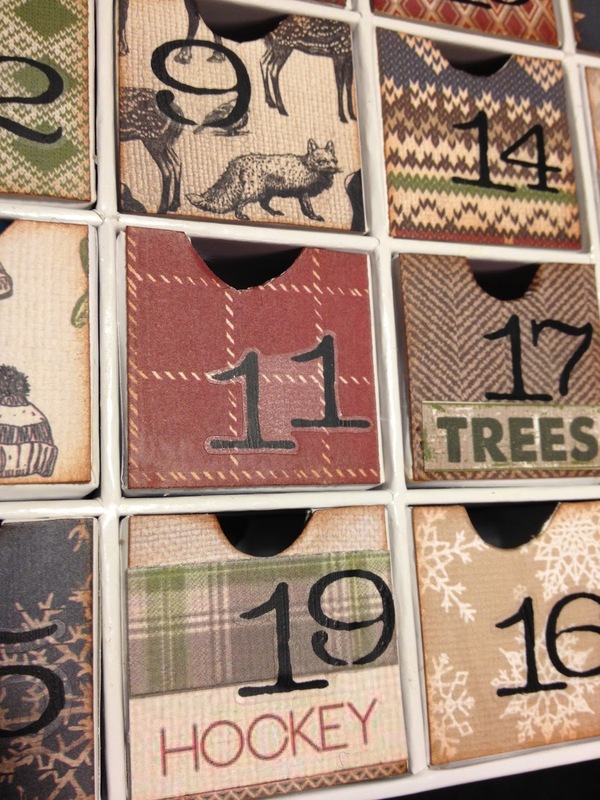 Step 4: Create an elegant look by keeping matting square and adding lots of layers. And you're done! Oh, I guess I did crank the die through an extra time using white card stock to add a couple of extra white snowflakes to the bottom of the card. But that's it really! Easy. Stress free. You're composure is most definitely in check while your superstar cape flies proudly in the cool winter breeze....♥. PS....Thanks for letting me vent! Ha. 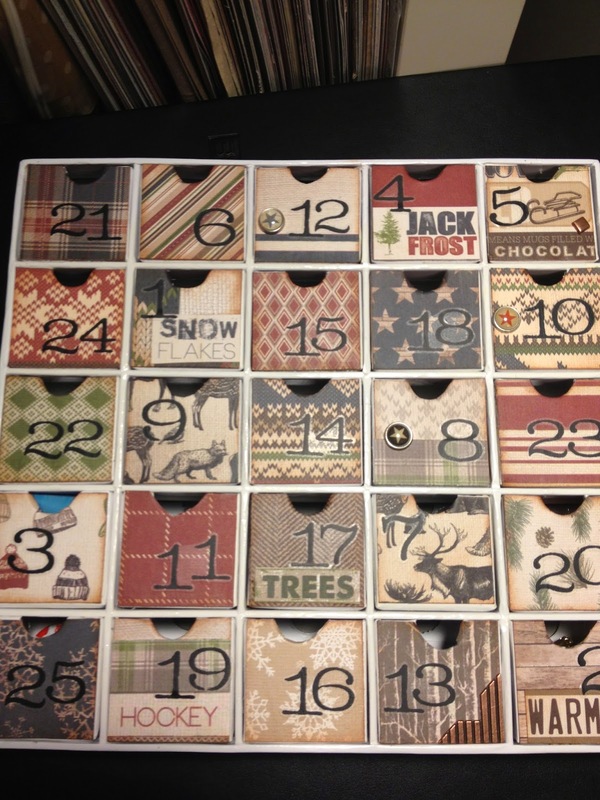 (Just in case you missed my posts from last week)....the challenge was on to get an advent calendar done for my hubby in time for December 1. Once kids came along, I stopped making projects for Trev and I thought that was terrible. I had a few days and thanks to a great DIY kit ($22.99) and a great 6x6 paper pad (Warm & Cozy), it all got done with time to spare! Here is a better look at the completed project! I added extra little goodies like the star brads. All papers including the words "Trees and Hockey" were from the 6x6 pad. Number stickers are included in the kit. Just a little reminder that any of you who entered our annual tag swap, your tags are due by THIS Saturday. Feel free to come in any time during our regular store hours to drop them off. Thank you to those who have already done! We even had one participant mail hers in since she lives out of town (we got them Pat!). All I can say is WOW! Everyone's tags are incredible. I better get on my game and try to wow you too! I know you guys find the store to be warm and cozy on any given day but we thought we would add a little extra warmth for the month of December. Stop in on Saturdays (during store hours - 10am-3pm) and enjoy a warm cup of apple cider on the house. Don't be shy. We'd love to see you. And hey, why don't you bring your latest creations for a little show and tell! !